John McGlynn was appointed as Manager of the Football Club for a second time on 25th September 2018, on a contract until the end of season 2019 – 20. A native of Musselburgh, John is Rovers 34th permanent manager appointed since WW2, and started his playing career in midfield with Bolton Wanderers youth system before playing for Berwick Rangers, Musselburgh Athletic and Whitehill Welfare. Whilst at Whitehill he became involved in the coaching side of the game. John’s management career started while he was in his 30s; firstly at Easthouses Lily and then Musselburgh Athletic before he was brought into the Hearts coaching setup by Jim Jeffries in 1996. In his 10 years at Tynecastle had 2 spells as Interim Manager, replacing John Robertson and George Burley in 2005. John’s managerial stock rose in his 6 years at Stark’s Park from 2006 to 2012, where he turned the club’s fortunes around with a mixture of hard graft and determination masterminding several memorable campaigns. 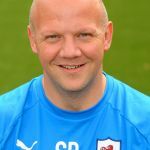 His first challenge was to restore pride and SFL First Division football to Stark’s Park after relegation which he achieved in his second full season in Kirkcaldy as the Rovers were crowned SFL Second Division Champions in 2008 – 09. The highlights of John’s time at the Rovers in the SFL First Division are well – documented, with Rovers supporters still recalling with great fondness the Scottish Cup run to the semi-final defeat to eventual winners Dundee United in season 2009-10, which featured a memorable victory against the odds away from home at Pittodrie and then a thrilling quarter final victory over Dundee at Dens Park. The following season under John’s leadership Rovers mounted a serious challenge for the First Division League title and promotion to the SPL; and despite losing out to Fife derby rivals Dunfermline Athletic in the final weeks of the season, won the PFA Scotland Manager of the Year award. John also managed Hearts and Livingston after leaving Stark’s Park before taking on the role position of First Team Scout at Celtic in January 2015, working under Ronnie Deila and then Brendan Rodgers, until taking the reins at Stark’s Park early on in season 2018 – 19. 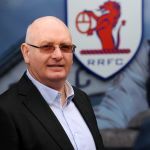 Paul Smith re-joined the Rovers as Assistant Manager on 25th September 2018 alongside Rovers manager John McGlynn, on a contract until the end of season 2019 – 20. Hailing from Currie, Paul started his playing career in the youth systems of Dundee and then Dundee United. He signed for Raith Rovers in 1982 under manager Bobby Wilson where, in a struggling Stark’s Park team in the old Second Division he struck up an incredible partnership with fellow striker Keith Wright that produced a combined total of 111 goals in the 3 seasons they played together (50 for “Smudger”, 61 for Wright). His Rovers goalscoring form attracted the attention of Premier League Motherwell and he moved to Fir Park (with Andy Harrow moving in the opposite direction) in July 1986. By the time of his next transfer (to Dunfermline in 1988) Paul had developed into a central midfielder, a position he would remain in till retiring from playing in 1998 and included spells at Falkirk, Dunfermline (again), Hearts, Ayr and Berwick. Two months after his arrival as a player at Shielfield Park in 1997, Smith was appointed manager of Berwick Rangers, a post he held until 2004 when he got the club promoted to the SFL Second Division. Paul’s next coaching role was as Assistant Manager to Des McKeown at Stenhousemuir until 2006. 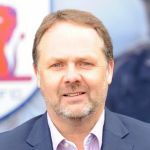 After a break away from football to concentrate on running the family recycling business Paul returned to coaching when John McGlynn brought him back to Raith Rovers on a part – time basis as Assistant Manager in 2008. Their time at Raith Rovers was successful and brought silverware to the club when Rovers were crowned SFL Second Division Champions in 2008 – 09. The Scottish Cup run to the semi-final against eventual winners Dundee United in season 2009-10 was another high point for Paul, as was the following season when Rovers mounted a serious challenge for the First Division League title and promotion to the SPL; only losing out to Fife derby rivals Dunfermline Athletic in the final weeks of the season. When John McGlynn left the Rovers hot seat to take over at Heart of Midlothian, Paul stayed on as Assistant to new Manager Grant Murray and First Team Coach Laurie Ellis until August 2014, during which time the Rovers lifted silverware again in the Challenge Cup Final v Rangers at Easter Road. Business commitments caused to Paul to step away from football and the Rovers at the end of the 2013 – 14 season. Katy studied medicine at Dundee University before returning home to Edinburgh. She currently works for NHS Fife as an orthopaedic registrar. 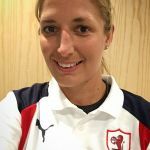 Katy previously played rugby for Scotland Women and has worked with the Scottish Rugby Union as well as Hearts and Kilmarnock football clubs. She joined Raith Rovers at the start of the 2016/17 season after working with former Manager Gary Locke at Kilmarnock FC and provides medical cover at matches. Lifelong Rovers fan Simon has been employed as Kitman since summer 2015, responsible for all aspects of the players matchday and training attire. He has also served on the committee of the Raith Rovers Football Supporters Club for a number of years.